In order to prevent mobile threats, hacker attacks, and increase mobile security and protection, Avast has developed mobile security and privacy applications. Avast provides users with reliable and advanced products that are used by millions of Android users worldwide. This article will reveal security and VPN products including, Avast Antivirus 2018 for Android and Avast SecureLine VPN for Android. 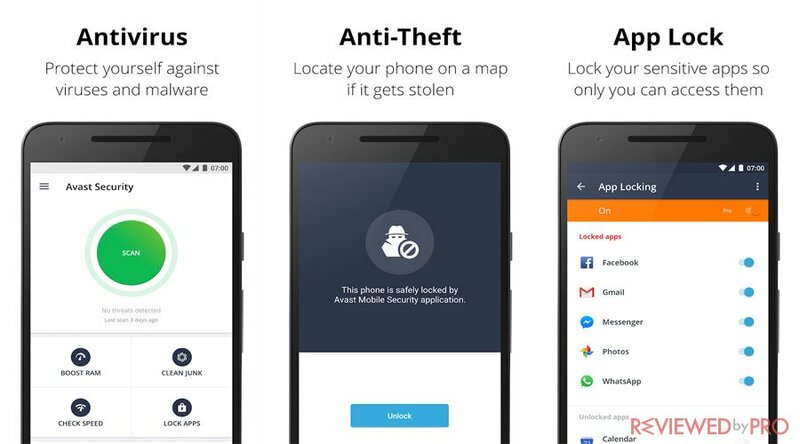 Avast Antivirus 2018 for Android provides users with protection against mobile threats and viruses. By using Avast for Android, users can bank or shop online with confidence, because Avast is one of the most trusted security systems in the world. Avast Mobile Security has over 100 million installs. Avast Antivirus protects users against phishing attacks from email, phone calls, infected websites or SMS messages. In addition, it alerts users when they install spyware and adware apps that might violate user privacy. Avast Mobile Security protects users’ payments, chats, pictures or other sensitive information, so they can connect anywhere with confidence that no one else can reach their private data. Avast Mobile Security protects Android users against intruders, malware, and viruses by applying one of the most powerful and effective technologies on the market. Avast Mobile Security allows users to block calls and lock applications via password. From now on you do not need to pick up calls from unknown numbers or be afraid that third-party users will access your social media or other apps that might contain private information. Avast provides users with free and premium versions of Mobile Security for Android. Avast Mobile Security provides users with antitheft features that automatically locks the device on SIM change. It also secretly captures pictures and records audio of the thief. Avast Mobile Security enables users to protect their security and privacy by locking any app with a PIN code or touch gesture. This way users can protect their most used apps that might contain private or sensitive information from third-parties accessing them. Avast Mobile Security eliminates ads from Avast Antivirus experience. Avast Mobile Security provides users with Avast Direct Support, which users can contact if they face any mobile security-related issues. Virus and malware scanner scans the Android device automatically and looks for infections or dangerous applications, trojans. The mobile security also includes a Web & file scanner for complete protection and protects users against spyware and viruses. Avast Mobile Security instantly cleans up unnecessary data, system caches, gallery thumbnails, installations files, and residual files. Avast Mobile Security keeps your private information private. Users are able to add phone numbers to blacklist, and block callers users do not want to contact. Avast Mobile Security scans and blocks suspicious and dangerous links, trojans, adware, and spyware. It also fixes mistyped URL addresses. Avast Mobile Security enables users to check the security of each network the device connects, so users are able to securely browse, email, and make payments whenever they are. You might think that using antivirus and security application for your Android is enough and covers all the protection. However, in order to completely protect your privacy and security, a VPN service is also required. 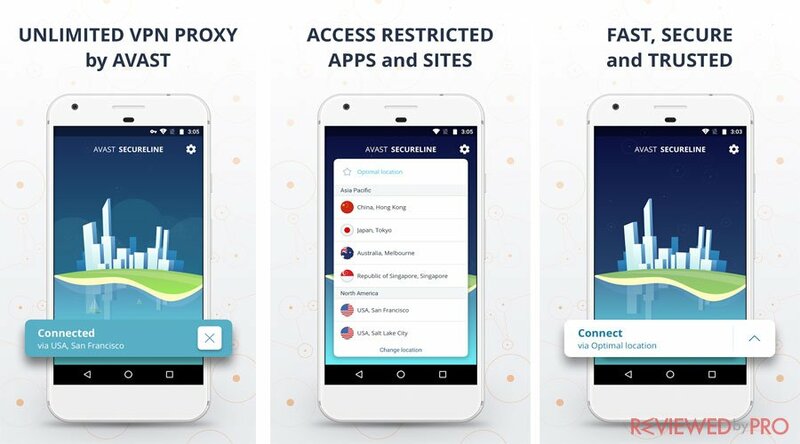 Avast SecureLine VPN for Android encrypts user Internet connection for true online privacy. By using Avast VPN SecureLine users receive unlimited, fast, secure and anonymous VPN Proxy service, one of the best for Android. The VPN service unblocks restricted sites and apps, provides users with anonymity and protects them in public, unsecured Wi-Fi. Avast SecureLine VPN is a number one VPN Proxy on the market and provides VPN services for over 400 million people worldwide. Avast SecureLine VPN is fast and reliable. Avast offers users large coverage of VPN servers worldwide that ensure the fastest service. Avast SecureLine VPN offers users unlimited VPN. Users are able to use as much VPN as they want without any limitations. Avast SecureLine VPN is simple and easy to use. Users can activate VPN service with a single click. Avast SecureLine VPN is trusted and has over 400 million users. Avast SecureLine VPN enables users to change the location. Users are able to connect in 22 countries around the world. Avast SecureLine VPN provides users with an uninterrupted connection. Users can reconnect automatically to VPN when switching from data to Wi-Fi. Avast provides users world-class customer service with fast and reliable support. Different countries and locations have different Internet restrictions, so if you travel, you might find that some websites are blocked. When you use Avast SecureLine VPN you can unblock websites and even applications. In addition, you can also use Avast VPN servers that are located in multiple countries, to get access more content from your Android device. Even if the Wi-Fi connection restricts certain apps, you will be able to unblock any app instantly. Avast SecureLine VPN offers users a private encryption VPN tunnel which prevents cybercriminals from stealing important user data via vulnerable public and open Wi-Fi hotspots. Avast SecureLine VPN secures Wi-Fi connection and user privacy. Avast SecureLine VPN allows users to browse websites anonymously and also provides private access. By using Avast SecureLine VPN, the Internet connection will appear to originate from a different location, so users can hide their important data including banking logins, communications, emails, and payments. Avast SecureLine VPN features a simple one-click widget to the user dashboard and makes it easy to turn the secure connection on and off within a single click. How does Avast SecureLine VPN for Android work? 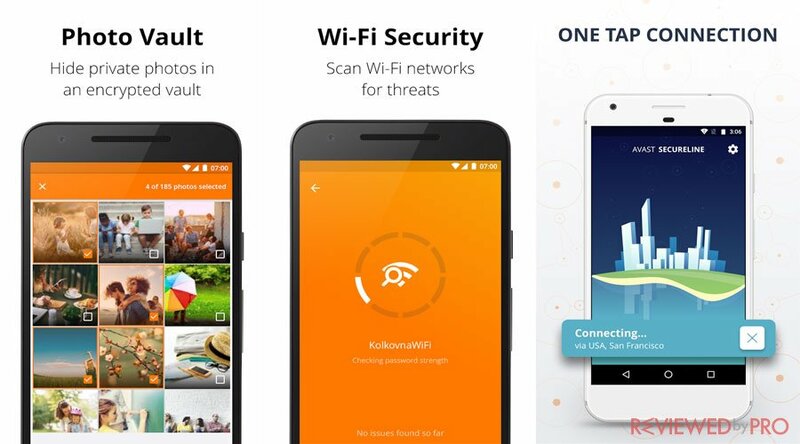 Avast SecureLine for Android protects users from data theft by applying an encryption shield, which is known as a tunnel to secure public/open Wi-Fi connections. When Avast SecureLine for Android is active, users’ communications or other private and sensitive data are impossible to spy on. ^ Avast Mobile Security . Avast. ^ Avast SecureLine VPN. Avast. This entry was posted on 2018-02-28 at 07:36 and is filed under News.